In this educational video, Buffalo injury attorney Richard Nicotra details the common mistakes to avoid after a slip and fall injury to maximize your recovery. Some of the most common mistakes to avoid after a slip and fall injury is forgetting to take photos. When you’re injured, and you fall, you’re often embarrassed. That’s the biggest response I get is I just wanted to get up, I wanted to get out of there, I was embarrassed. The biggest mistake they make is not documenting by way of photos that dangerous condition they fell upon. For example, if it was a large puddle of water, or if something was spilled, or if a carpet was overturned, getting that in a photograph to show why that person fell is critically important to the case. Another thing that they fail to do is to request a copy of the incident report, or they give a statement when they’re all shaken up. What they should do is pause, not give a statement, and talk to their attorney first. 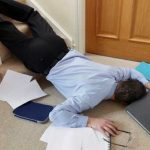 The third mistake I think I see with slip and fall cases is people fail to get names and phone numbers of people who may have seen them fall, because those witnesses can be critically important to any slip and fall case.